1. Mäurer & Wirtz 4711 (Echt Kölnisch Wasser--Original Eau de Cologne): because for a modest sum you can connect olfactorily with your remote German relatives from centuries past--and also find out why Tom Ford is getting the last laugh! 2. L'Artisan Parfumeur Bois Farine: because a sack of flour and a sack of sawdust smell mighty fine juxtaposed! 3. 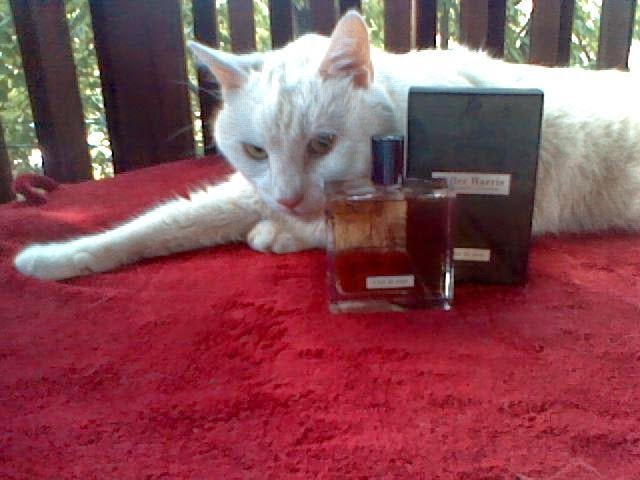 Miller Harris L'Air de Rien: because Christos of Memory of Scent finds that this perfume smells like a baby's head! 5. Juliette Has A Gun Vengeance Extrême: because sometimes donning a perfume which forces one into lock down under house arrest until the next full bath is a very good thing!